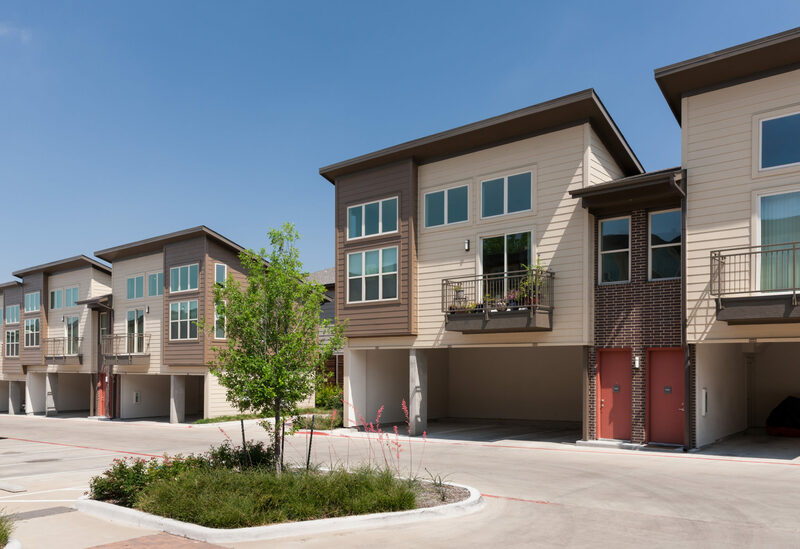 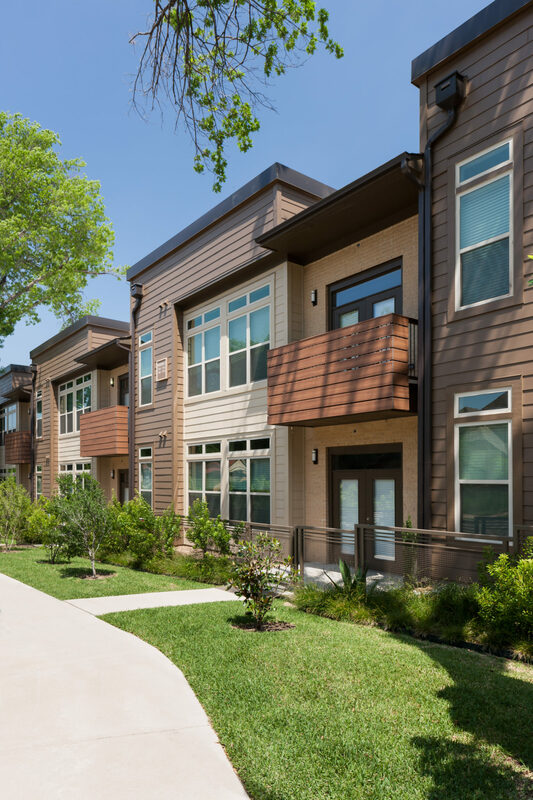 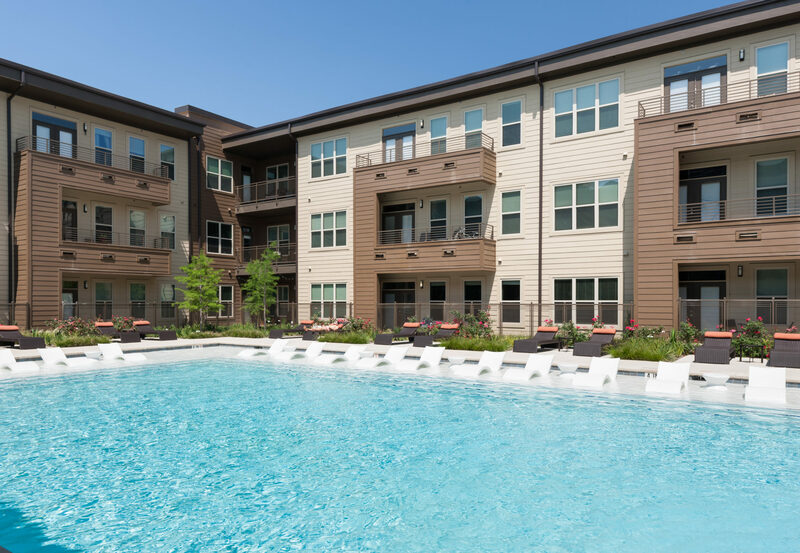 Located in Dallas’ historical M Streets and across from Glencoe Park, Crest at Glencoe was designed to blend the atmosphere of a cozy and urban neighborhood. 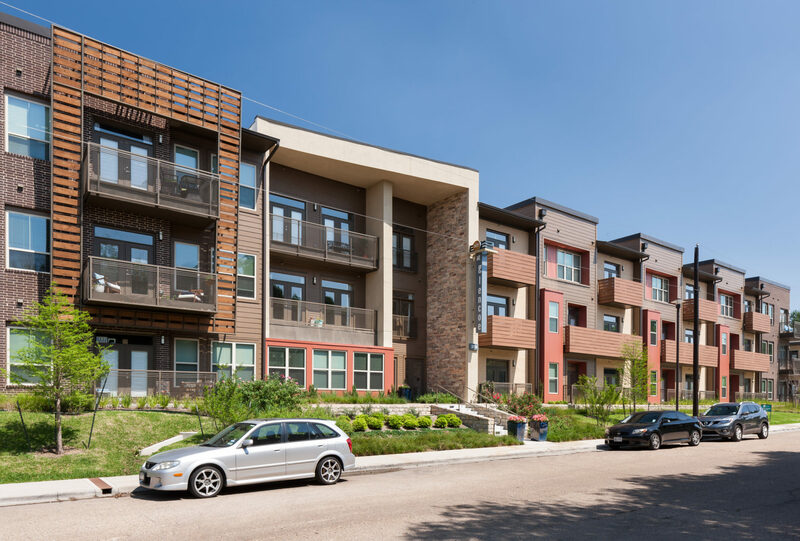 Expressed through soft contemporary design, it balances local neighborhood architecture with modern elements into a rich pallet of colors and textures. 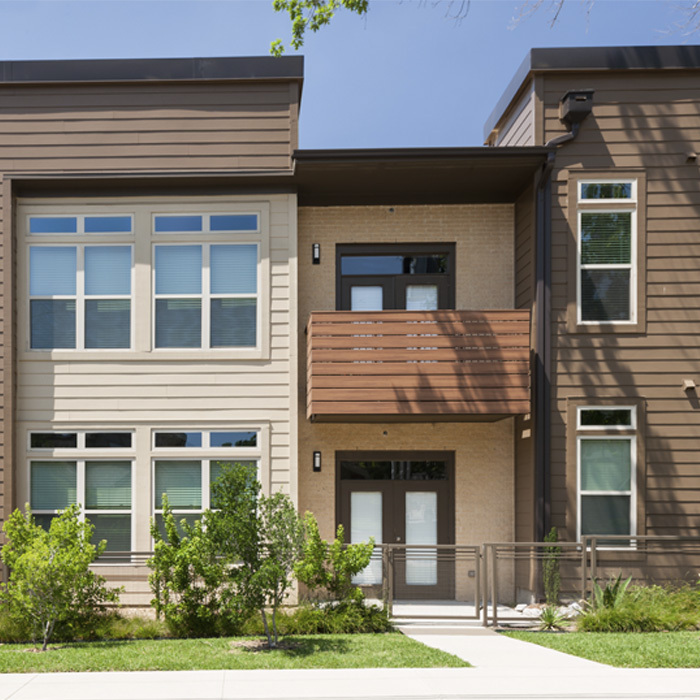 The tilted wood screens facing Glencoe Park create a sense of depth and dramatic shadow play on the main façade. 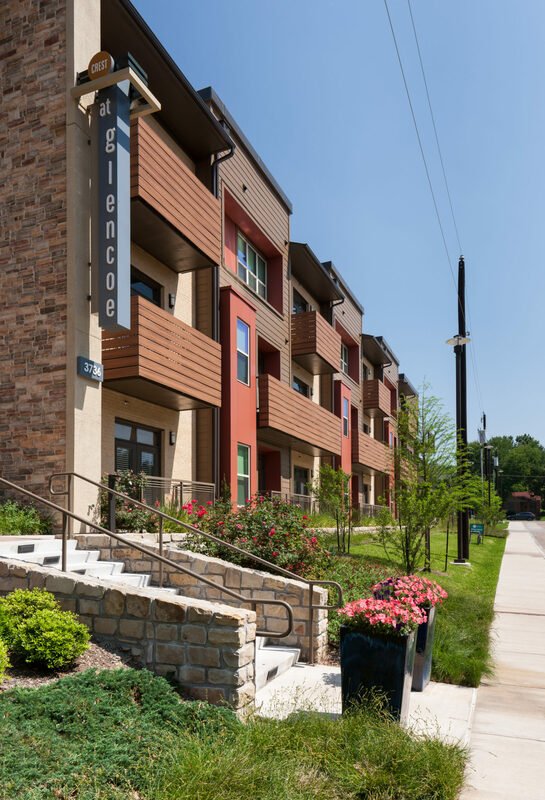 Unique design features including the main entry monumental stone wall that conceptually ties in with the thru-wall fire place blending the interior and exterior environments into one continuous experience.